"Two big Sonic games in 2017 after years of silence and lackluster releases. " Sonic the Hedgehog is a weird video game series. After Sega stopped making hardware, there was no real place for the mascot to really cement a new legacy in. Sure the games have still been selling all right with games like Sonic Heroes and Sonic Colors selling millions each, older fans have all but given up on trying to have fun with Sonic altogether. Weird reboots, rushed games, lackluster quality, and some overall dumb decisions have tarnished the brand to the point that the term “Sonic Cycle” has come into effect. Now with years off, can the next two games, Sonic Mania and Sonic Forces, relaunch the franchise into a new era? To understand what fans feel with Sonic games is to understand the Sonic Cycle formula. Basically, the cycle starts with a new game announcement, mostly vague teaser material, with Sonic fans optimistic of what they see. Then the second part takes place in between announcement and near-launch where more info on the game surfaces with new allies, new gameplay mechanics and twists that turn off any excitement that they previously had, though still slightly optimistic because change is not always bad. Then lastly, the game releases and bombs with critics and fans alike. Now as a Sonic fan, I do believe the cycle is a bit overblown, but isn’t outside its means to exist. While there have been some awful Sonic games that 100% fall into this cycle (Sonic 2006, Sonic and the Secret Rings, Sonic and the Black Knight, Sonic Dark Brotherhood, Sonic Lost World, Sonic 4, Sonic Riders: Zero Gravity, Sonic Boom: Rise of Lyric), there have been an equal amount of good to great games too (Sonic Rush/Rush Adventure, Sonic Advance, Sonic Riders, Sonic Battle, and especially Sonic Colors), it’s just that the lesser hyped handheld games seem to gotten the good end of the stick. https://www.youtube.com/watch?v=uq0AXdQOR90 If the Sonic Cycle is the end result of the lower quality games, then Sega’s weird business decisions with handling Sonic games are the catalyst. Back when they dropped the Dreamcast and went multiplatform, Sega was trying to eat away the deficit they made after back-to-back(-to-back-to-back with Sega CD and 32X too) hardware blunders. So they became an aggressive third-party developer for the GameCube, Game Boy Advance, PS2 and Xbox. Now they didn’t just pump out junk, they really did a lot of good for the newer generation: Virtua Fighter 4, Sonic Adventure’s GameCube ports, Sonic Mega Collection, Super Monkey Ball all sold in the millions each while games like Panzer Dragoon Orta, Shenmue 2, Billy Hatcher and the Giant Egg, Otogi, Skies of Arcadia Legends, and Phantasy Star Online ports and many others sold okay but had good-to-high ratings. Sonic’s first foray into multiplatform games, Sonic Heroes, was a whole other story. 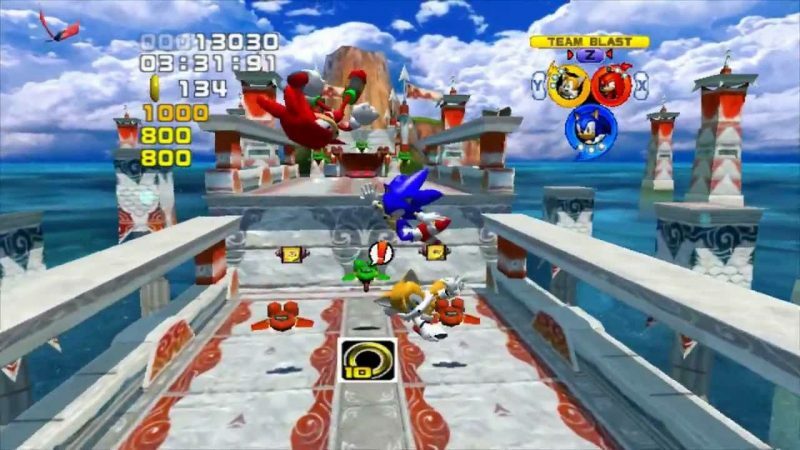 The game sold really well, several million in fact, thanks to a successful relaunch of the franchise centered with the American launch of the new anime series: Sonic X. Sonic X retold the Sonic Adventure games with new characters and new origins for the heroes, but also launched alongside the GameCube version of Sonic Adventure. As Sonic fans mainly gravitated around the GameCube due to its exclusive Sonic games, Heroes allowed a wider audience to get into the franchise for the first time or the first time since the Genesis. Sega kind of knew they had to stay on this to keep shareholders (or at least pachinko maker Sammy, who merged with Sega around this time) happy. So started the steep decline of Sonic the Hedgehog. While the GBA/DS games were still good, Sega started treating the console games as AAA experiences, with more marketing and focus on them, because that’s where the biggest gaming audience was. Shadow the Hedgehog’s solo game was the result of an official poll, and his game shipped less than a year later to unsurprisingly poor scores. It was turn of a new console generation however that really messed things up. Sega announced that a new Sonic game was hitting the Xbox 360 and PlayStation 3, where according to an old GamePro article, Sonic would have one million polygons in his character model (which was incorrect, his in-game model had 1,500 while his prerendered cutscene form had a million), super detailed environments, motion blur effects, a day/night cycle, and other nonsense that hyped up the new consoles. The 360 version of Sonic the Hedgehog (dubbed Sonic 2006 to eliminate confusion of the original game) launched in holiday 2006, with the PS3 version trailing with early 2007, to awful scores due to bugs, a unfair difficulty, a plethora of other tech and gameplay issues and a idiotic plot involving a love story with a human. At the same time, Nintendo did a very successful unveiling of their new system, Wii, at E3 2006. They aired a sizzle real of a bunch of games hitting the system like Super Mario Galaxy, Metroid Prime 3, and a new Sonic game: Sonic and the Secret Rings (then-codenamed Sonic Wild Fire). Secret Rings launched in 2007 to much better fanfare than Sonic 2006 thanks to it being a complete game, it was pretty gimmicky and not the correct direction the series should go to. https://www.youtube.com/watch?v=iU1Or-tEvX4 From then on out the Sonic cycle has been into effect. Though games like 2010’s Sonic Colors did break the cycle, Sonic wasn’t really going anywhere. During a forgotten reboot with Sonic Boom and its trio of games (the Sonic Boom show is hilarious however), Sega launched something that’ll change Sonic’s image. So now that the history lesson is over, we can finally get toward the two games in question: Sonic Mania and Sonic Forces. Now there hasn’t been a big Sonic game since Lost World, mainly because Sega has reevaluated and decided on making sure games don’t launch rushed, and have lengthened development time. In fact, Sonic Boom: Fire and Ice for the 3DS was delayed an entire year to make sure it comes out okay (which it did). Another reason is that it would be dumb to have an official Twitter account that makes fun of bad Sonic games and continue releasing bad Sonic games. https://www.youtube.com/watch?v=LQ1SbHLXlH8 Sonic Mania, developed by Headcannon and PagodaWest Games (Nintendo Switch version by Tantalus Media), is a new 2D Sonic game using the graphical style and gameplay of Sonic & Knuckles. There are new stages and bosses, though some come from the ideas of past games, like a new set of Green Hill Zone stages. So far the reaction has been very positive, though demos have been known to have slight bugs, like characters not losing rings when hit. The game was slightly delayed to the summer, so Sega seems to be not afraid to delay it in order to fix things. https://www.youtube.com/watch?v=_Zm0FvEn5CU Sonic Forces’s teaser trailer touted that it is being developed by the team behind Sonic Colors and Generations, though that team also made Sonic 2006, Black Knight and other bad ones. Though there’s only a few seconds of footage, we do know that it’s a successor to Generations, which had a modern Sonic team with a classic, Genesis-era Sonic. Modern Sonic played like Colors and classic Sonic were in 2D, and all the stages were based off of previous games. It was a nostalgia trip with the gameplay being much shallower than Colors and the game overall short. It was however a fully working game without much of the issues we usually see. I expect Forces to be more of the same thanks to people’s blinding passion for nostalgia, though it’s the one I’m more skeptical. Hopes are higher than most Sonic announcements because we not just see that Sega realizes the issue, but with Sonic Boom: Fire and Ice and Sonic Mania, they’re flexible to give these games more time. While I still have my doubts with Forces being another case of nostalgia > everything else like Generations before it; Mania seems like the opposite, bringing originality by using gameplay of older games. 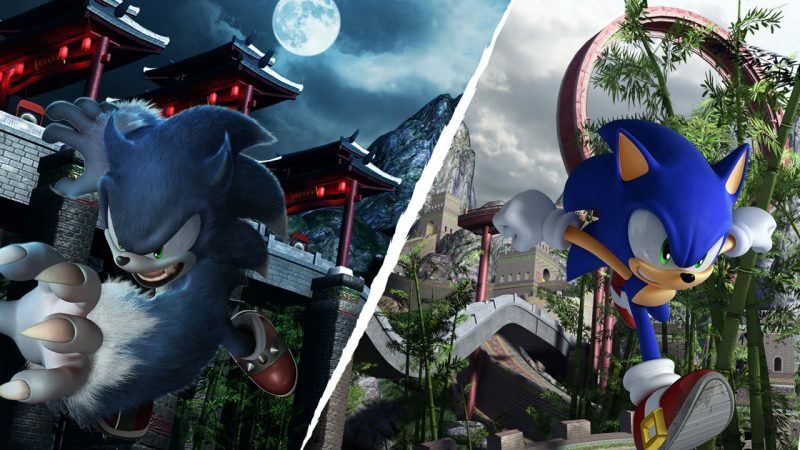 Luckily the Sonic Cycle doesn’t seem to be looming its head over these two 2017 projects, so let’s hope that Sega might have found its Sonic sweet spot once more.